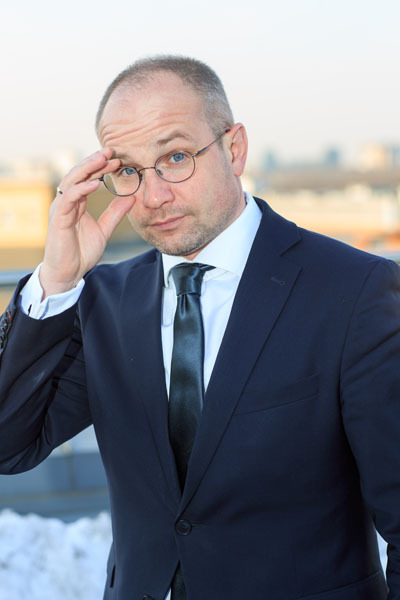 – Sergey Victorovich, before you start to speak about the COMTRANS show let me ask you to sum up the outcomes of the first year ITEMF Expo company’s activity which was established by the Russian subdivisions of ITE Group (Great Britain) and Messe Frankfurt GmbH (Germany). 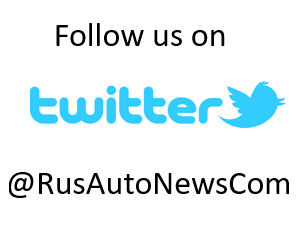 – In 2016 we held two exhibitions – «MIMS Automechanika Moscow» and «Busworld Russia powered by Autotrans». I can say that their outcomes were quite successful especially given the challenging economic environment on the market of commercial vehicles, components and spare parts. And it is not only my personal point of view, but also the evaluation by the company’s shareholders represented by ITE and Messe Frankfurt Group, based on feedbacks and surveys of both exhibitors and visitors. While, for instance, the exhibition space of ​​MIMS Automechanika Moscow’2016 remained at the level of 2015, the quality of the exhibition and the level of its attendance was higher in comparison with previous exhibitions, as far as I can judge from my own experience of participating in the project since 2011. And, of course, the exhibition “Busworld Russia powered by Autotrans” first organized in Moscow in IEC Crocus Expo together with our Belgian partners, is a separate topic. 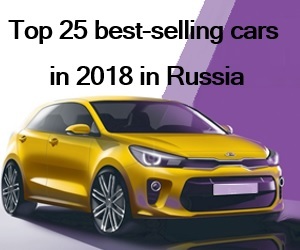 It was a very courageous step supported by our shareholders and I do not know any other example of launching a product on the Russian exhibition market in 2016 from scratch in the conditions of economic recession – and it paid for itself. And here we benefited from the experience and knowledge of the COMTRANS exhibition team, which was able to mobilize all its resources as much as possible and organize the high-level coach and bus show. For example, if we estimate Busworld Russia powered by Autotrans in terms of the level of its attendance per one square meter of the total exhibition space, then this is the best exhibition, which I have ever prepared with my colleagues. By the way, assessing prospects for this year one should realize that the success of the exhibitions of 2016 proves to be true also, because the sales of COMTRANS‘2017 are going much better than in 2015. 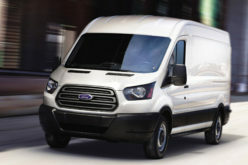 Of course, the revival observed on the commercial vehicles market since the second half of last year makes its contribution to this process. – So, COMTRANS is rightfully considered as the main event of the year in the world commercial vehicles industry. Could you, please, say what the exhibition will look like? What is the total exhibition space? Who will participate? – The present exhibition has not yet been formed, but today we can say that it obviously will be bigger and more interesting than in 2015. The exposition space will exceed the previous figure of 47,000 sqm, and the expected number of participating companies is more than 220. I say it so confidently, because the companies, which missed the exhibition in 2015, are returning to the Crocus Expo venue. 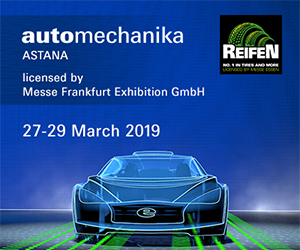 As an example I would like to mention such big-name brands as Volkswagen commercial vehicles and Hyundai, which already confirmed their participation, and also returned to the exhibition DAF. 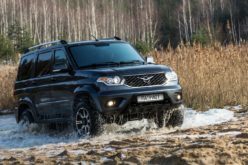 Representatives of the European “Big Seven”, PJSC “KAMAZ”, GAZ Group, UAZ, as well as the Belarusian MAZ are the traditional exhibitors. 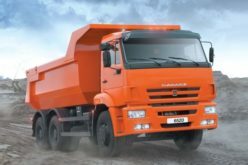 For the first time in the history of COMTRANS, PJSC “AVTOVAZ” will participate in the exhibition. Moreover, companies begin to expand their exhibition area as compared with the previous exhibition. This tendency is simple to explain: the market revival inevitably leads to increased competition. The example of foreign companies, which lost their market share in the crisis in comparison with domestic producers, is especially notable. Therefore, participating in the exhibition, which takes place every two years, can be regarded as the companies’ desire to make themselves better-known today, because they will have the next such opportunity only in 2019. 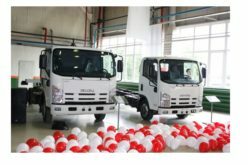 The exhibition areas expand due to not only the current market revival, but also due to the manufacturers’ expectations that the market will continue to grow, as investments on the commercial vehicle market have long-term effects. – As is known, the COMTRANS exhibitions are held since 2000 and the first exhibition operator was the company MEDIA GLOBE. What changes has the project undergone after being delivered to a new owner? – I would like to start by focusing on the fact that COMRTANS is already a well-established brand known not only in Russia but also abroad. Therefore, my colleagues and I tried to preserve all achievements, which were made over the years, and at the same time we try to bring something new. 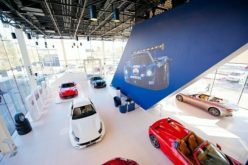 Nonetheless, expanding the exhibition area is not an end in itself, equally important criteria for the exhibition success is customer satisfaction. That is why ITEMF Expo always pays great attention to developing the additional service provided to exhibitors, from the technical support issues on the venue to the cooperation with companies after the exhibition. In particular, we mean a business program within which in addition to the press-day for the first time in 2017 we plan to hold a summit on topical issues of the commercial vehicle industry development. Many exhibitors have already confirmed their interest in the summit, among them AEB and NP ARA. I do not rule out that over time the summit may become an annual event. By the way, I would like also to note another important point. 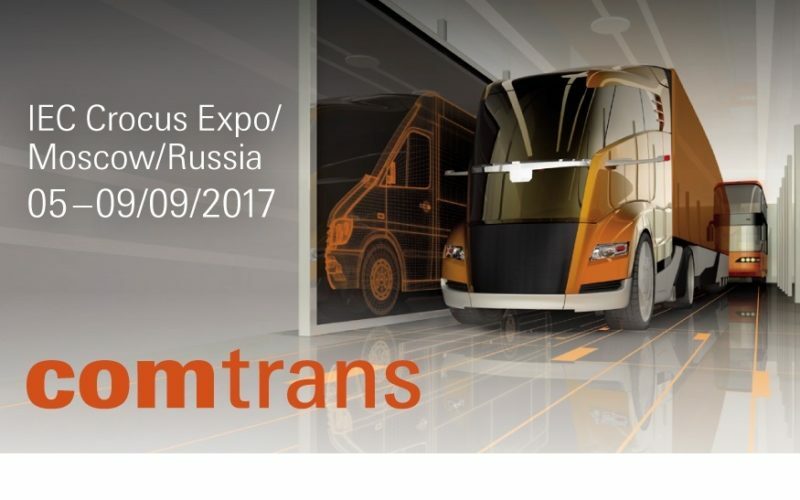 It concerns a synergy effect created between the exhibitions MIMS Automechanika Moscow and COMTRANS. We receive requests from companies for sending them an offer regarding the participation in both exhibitions. This is particularly the case with the companies associated with the components and spare parts production for freight and passenger vehicles. 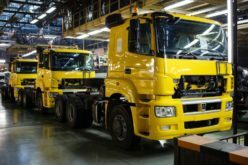 It is not a secret that MIMS Automechanika Moscow has its special section called Truck Competence aimed at promoting companies and their products in the commercial vehicle industry, and we would like such an idea to be developed as well as within COMTRANS. 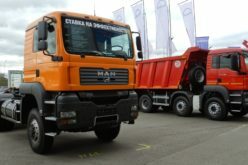 Besides, I would like to pay special attention to the contest “The Best Commercial Vehicle of the Year in Russia”, the official award ceremony for the winners is traditionally held within the framework of the exhibitions COMTRANS, and now within Busworld Russia with the participation of the top officials from the companies-manufacturers of commercial vehicles. We will further support the contest, as there is nothing of this sort on the market. – What is the target audience of the exhibitors? How many of them are expected to come? – It is always very difficult for an exhibition organizer to answer such a question, because any figure which he puts forward may turn out to be wrong. It is never known how the situation will change in the future. 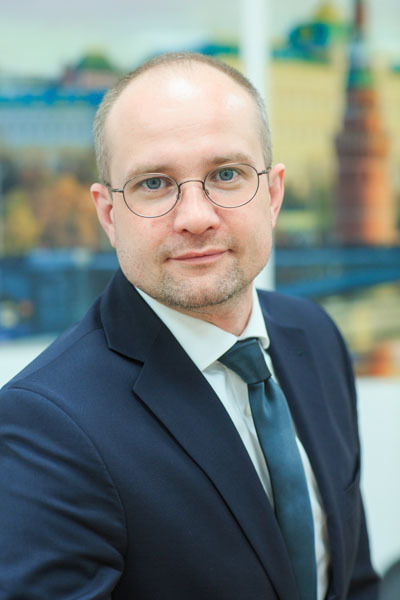 Yet basing on the example of the Busworld Russia exhibition I firmly believe that by the number of visitors the current COMTRANS exhibition will be 10-15% higher than it was in 2015. Now regarding the target audience, I would like to say that holding an exhibition is a process, which should be properly organized within the company. It is not enough simply to pay for the exhibition space and stand construction and just to come to the exhibition, but it is still necessary to take extensive actions in advance in order to achieve success. Sometimes we hear from the participants that they are not going to invite their customers to visit their stand thinking they will come without any invitation. I always tell them that if you take no actions it doesn’t mean that your competitors will do the same, and the struggle for clients begins just at the exhibition. That is why in the run-up to the COMTRANS show the exhibition organizer ITEMF Expo offers participants a series of free training sessions focused on maximizing the effects derived from the exhibition. – How satisfied are you with the conditions for holding exhibitions in Crocus Expo? Do you consider the possibility to organize exhibitions on another venue? – The exhibition services are provided not only by the organizer but also, of course, by an exhibition venue and the success is largely a result of the approach on which its work is based. I have to admit that the process of dealing with the exhibition venue is a serious part of our work as an exhibition operator which allows us to minimize potential problems for its participants. 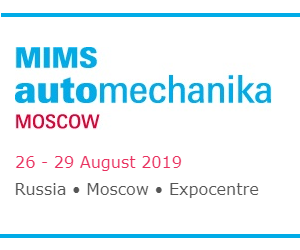 As is known, we cooperate with two exhibition venues in Moscow: Expocentre within the framework of MIMS Automechanika and Crocus Expo within the COMTRANS and Busworld Russia exhibitions. The Crocus Expo venue has several advantages and I personally do not think that we should change anything in conditions when we witness the successful cooperation. I hope such a situation will remain the same in the future. At the same time, we consider an opportunity of launching new projects in other exhibition centers, in particular, ExpoForum in Saint Petersburg and Patriot in the Moscow region. – In conclusion, I would like to ask you as a professional to express your opinion on the further development of the exhibition business in the age of information technology. Do not you think exhibitions in their current traditional format become outdated? – Holding exhibitions is one of the channels for the product sales and promotion. Of course, our world is changing, and new technologies are introduced at an increasing rate as well in the exhibition business. In particular, it refers to interactive technologies which transform communication from the real world into a virtual one. This process certainly continues in the near future. But direct and immediate contact with people is still the most important for a person as a social being. In my view, there is no any advanced technology, which can replace real-life communication between people, as we call face-to-face contact when people share their emotions and feelings with each other. It is an exhibition, which provides an opportunity to get acquainted personally with all new products of the market on one venue and get an idea of the current market trends. And it’s not just a possibility to get acquainted with the product, but you can touch it with your hands, find yourself in the driver’s and passenger’s shoes, get detailed information about the product from a stand-assistant. Therefore, exhibitions will always have one undeniable advantage – the opportunity of direct, maximally wide and rapid communication between sellers and their customers on issues which sometimes take weeks or even months to be settled.